Does anyone remember the Christopher Kane neon collection that the world went mad for a few seasons ago? 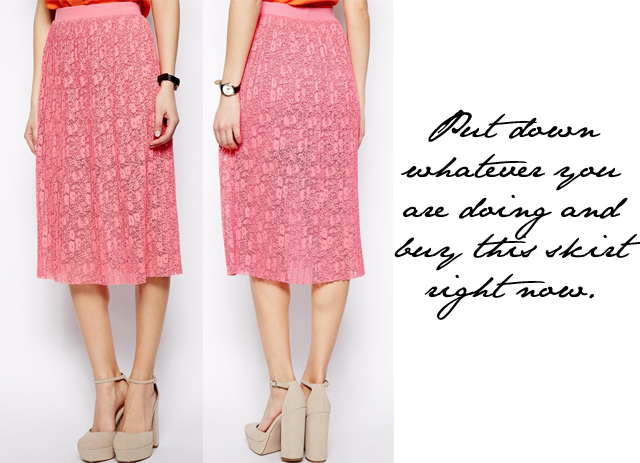 There was one pink skirt that just about everyone wanted and it looked damn near spot on identical to the one you see above, the one that is currently on sale through ASOS. This is THE skirt people and if you aren't already ordering because you are still reading, well I'm afraid I'm just going to have to stop writing and demand that you purchase immediately.